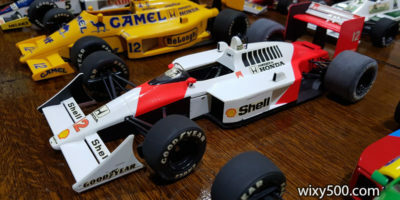 New technology, manufacturing methods and materials sees the model cars of today a superior product compared to those of the past. 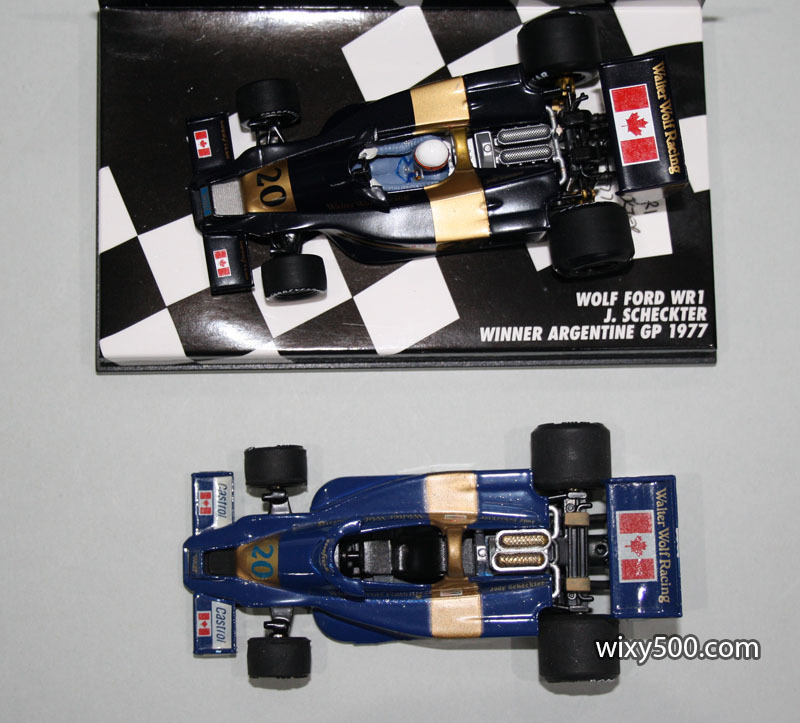 Case in point are these Wolf and Brabham Formula One racers from 1977. 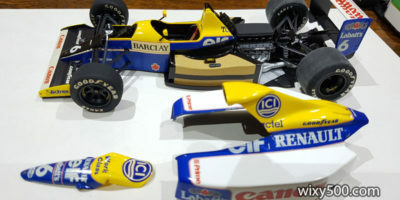 Both of these cars were produced as part of the Technica/Eidai F1 collection. They have also now been modeled by Minichamps. I thought some side-by-side photos illustrating the contrast between then and now would be interesting. For the time, I reckon the Technicas were a pretty good quality diecast model. The overall shape and proportions of each car looks really good and most of the key decoration is there. They all use the same generic wheels and tyres. The decoration is by thick self-adhesive stickers rather than waterslide decal or Tampo print. The models have solid axles, rubber tyres, diecast body and plastic base plate. They sit on a cardboard base and secured by moulded blister bubble. 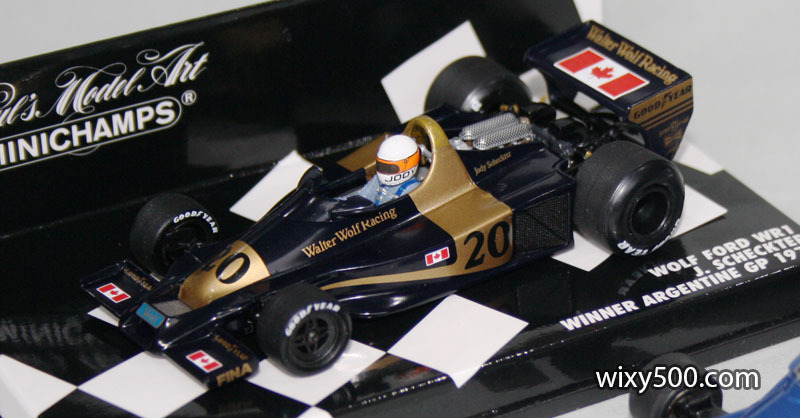 It should be noted that I enhanced my Technica Wolf & Brabham with some detail hand painting (wheels, tyre lettering, engine parts etc) which, in my opinion, improved them quite a bit. 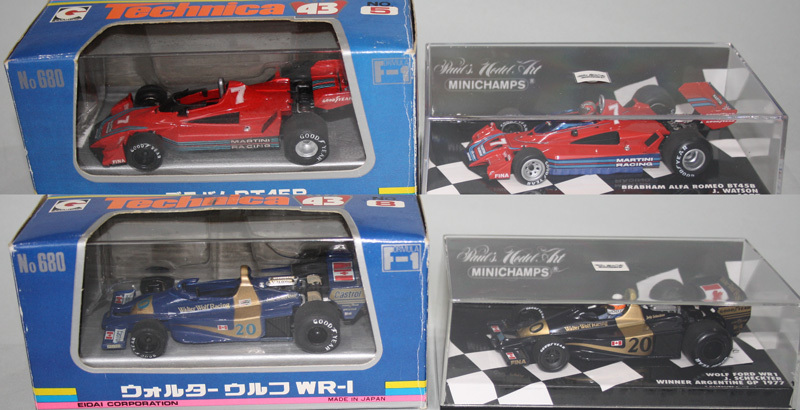 The Minichamps remain ‘mint’ and are unmodified. Overall shape is almost identical! 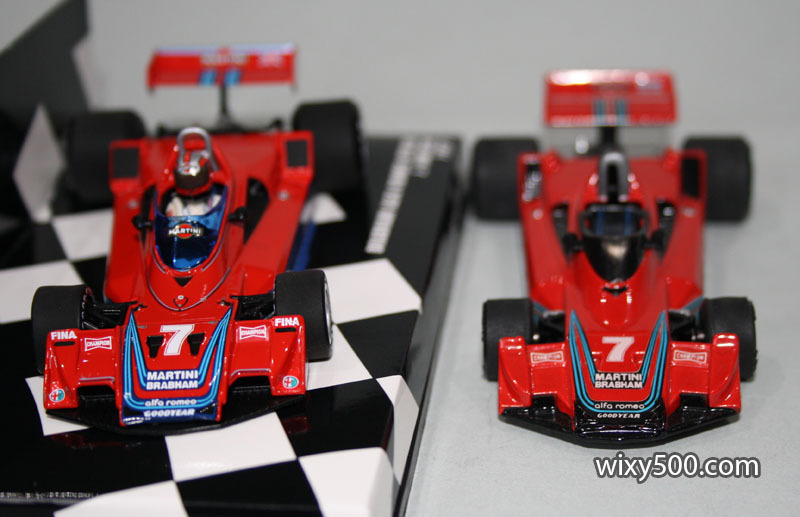 Minichamps has far more detail plus a driver. 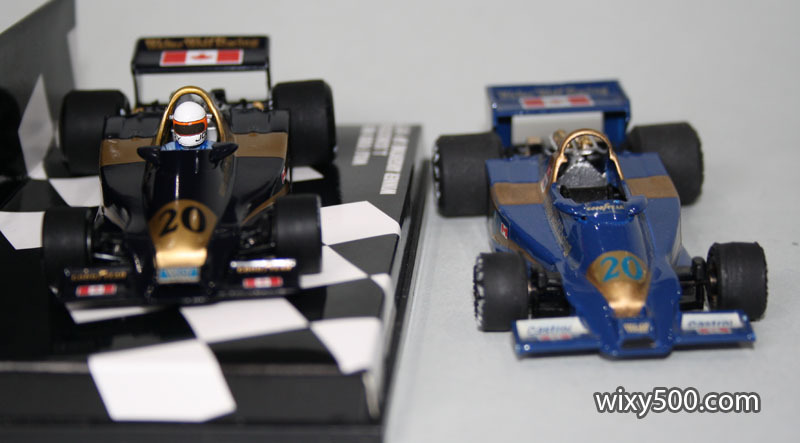 The Minichamps looks back (real car is a very very dark blue) while the Technica is far too light. Mask spray of the gold band on the Technica is not crisp. 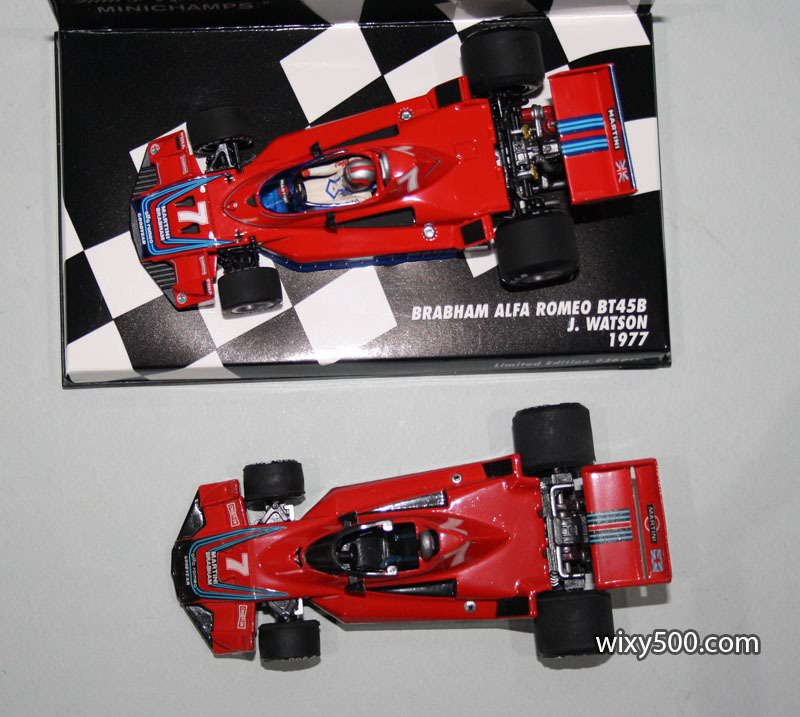 Overall, there is no question the modern Minichamps are far superior pieces. But for something from the 1970s, the Technica/Eidai range of F1s was pretty good and certainly better than the other brands of the era (Polistil, Yaxon etc). Despite their basic nature, mint examples demand decent prices on eBay, particularly the tobacco liveried cars (no censorship in those days!). 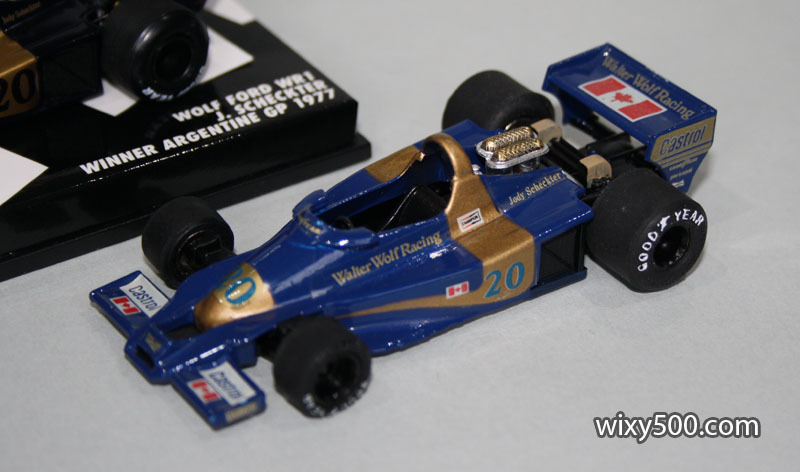 I built the 1:20 scale Tamiya version of the Wolf a few years back. Build Diary and photos of that are HERE.